Classic three-piece blues rock band line-up but with a modern twist. This is not your usual 12 bar yawn yawn stuff. Nick's are songs with great, immediately catchy riffs, interesting chord structures and killer hooks that ultimately feature highly melodic guitar playing that is intrinsic to the songs. Nick Bold once played in front of 20,000 people when his then band, Virginia Wolf, supported Led Zepplin's Jimmy Page, but he was equally at home at G-Fest - what a great set. Thanks, Nick! It will be a busy week for Jess Kemp and her band. Friday night they will be headlining Academy III and on Sunday they will bring their pop acoustic sound to the G-FEST main stage. Jess was named ‘Indie Rocks! 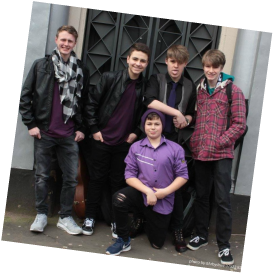 Acoustic Act Of 2014’ and has been a Finalist of KEY 103’s FutureStars 2014, Finalist of FutureMusic Songwriting Competition 2015 & Finalist of Out On Stage 2015. She has very recently released of her début single ‘Stars’ which has since received 7 weeks of airplay on BBC Introducing and led to a live session at BBC Media City. You can check out the song and an amazing video here. The Kar-Pets are an Inspiral Carpets tribute band, but with a notable difference from other tribute bands in that the Kar-Pets feature the former lead singer of the Inspirals, Tom Hingley. Tom was a member of the Inspiral Carpets from 1989 to 2011 and sang on all the bands many chart hits as well as singing on four of their albums. Our video of their opening song, Saturn 5, went viral when we put it on our Facebook page - it was that good. The lads went on to perform one of the most professional and accomplished sets we have seen anywhere, and had the G-Festival crowd buzzin'. If you get chance to see this line up, do not miss it - you will not be dissappointed. "Tabitha Jade" is now a 5pc Band, fronted by Award Winning Singer Songwriter from Merseyside. The award winning Singer; Songwriter, and Multi-Instrumentalist, joined by her equally talented sister, Eliza Mae, funked out the main stage, proving that age is no barrier in music - great pop and r 'n b from this fantastic band - G-Fest loved them. ​Manchester band The Brinks are fast becoming a must see for music fans far and wide. They have taken the local scene by storm over the past year with there infectious sound and jaw dropping live performances. The dual guitar synchronicity with Phil Wood & Bailey Wood drive the band with purpose and energy. With the thunderous rhythm section of Kieron Duncan drums & Jeff Wood bass taking the audience on a wild journey of highs and lows. There sound is instantly memorable and unashamedly dirty. 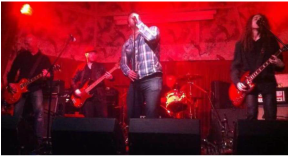 Neil Bardsley on vocals completes the sound with his "no holds barred" powerful vocal melodies. The Brinks take influence from blues rock bands across the decades, forging their own enigmatic style to thrill and excite their audience along the way. 2016 promises to be a magical ride for the band and everyone who comes across their path. Emily's brand of Acoustic Indie Rock surprised everyone - powerful, stunning vocals from this young entertainer. She crept on stage like a mouse and performed like a lion! This band defied their years with an accomplished, mature rock sound that set our fillings on edge. Individually influenced by a wide range of acts, such as Shakra, Of Mice and Men, Slash, Bring Me The Horizon and Muse, they rocked the opening set. 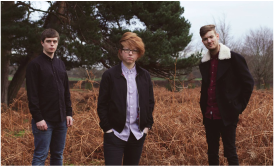 Their very first gig earned them 1st place in the Salford Battle of the Bands, resulting in a recording session in SSR studios where they produced their debut track "Wall of Lies" followed by the headline slot at the Band on the Wall showcase in February. The first reference you will find on-line if you search for Phil Yorke is 'slightly barmy'. Phil turned up with a stunning shirt and became a duo to bring us his unique brand of entertainment. 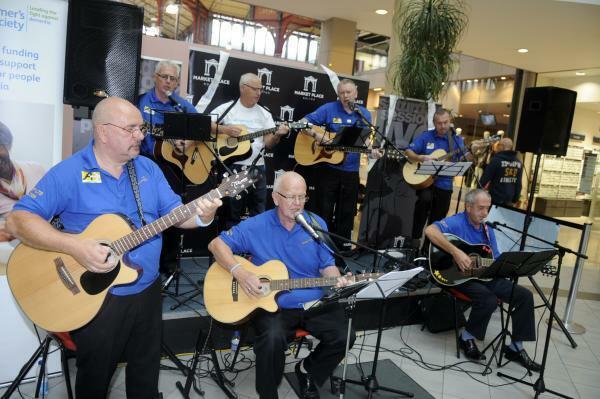 Serial fund-raises The Travellin' Strings are a Bolton-based Acoustic Guitar group playing a range of popular singalong songs and cover versions from the 50's, 60's and 70's. We were disappointed that there was no Death Metal in their set, but you can't have everything. Our G-Festival go-ers joined in and sang along to the unique sound of more than 10 Acoustic Guitars playing the songs they loved to hear. We had to get an extension to our stage to fit them all on! 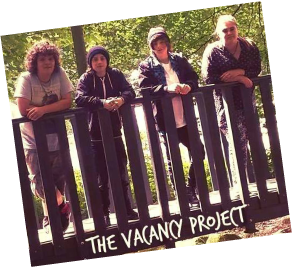 ​The Vacancy Project are one of Manchester’s most promising acts. Their influences range from Led Zeppelin to Amy Winehouse, which shines through beautifully in their live performances. Having gigged relentlessly since first getting together, they've been backed by press and radio across the Greater Manchester as ones to watch. WEAL have written a better bio about themselves than we ever could ... makes you want to see them, doesn't it? Weal were born in the spring of 2015 under a double-rainbow. We have a classic-rock, blues, punk-funk influence that could possibly cause harm to those don't know how to party hard. We spent our first months performing covers and originals, writing and adapting new styles whilst recording demos for an EP. Recorded in Preston over 2 nights in late December, our debut EP 'Certificate of Birth' is a 17 minute introduction to our evolving sound. G C Holmes' laid back acoustic rock was a big hit at G-FEST '16. Not so laid back at times, they flouted our no-electric rules and shocked some of the ladies in the front row of the acoustic tent with some passionate vocals. Excellently crafted original songs with stand-out melodies and memorable hooks - like this one, which also has a great video to go along with it. Rustic ethnic English Rock and Roll with the slightest of nods to blues, folk and country. These self-proclaimed 'awkward buggers' used guitars, mandolin and accordion with a bit of kazoo and harmonica thrown in to create a style based around Ronnie Lane and McGuinness Flint.